Marine conservation organizations worldwide are increasingly recognizing the dual role of coastal communities as both stewards and vulnerable stakeholders in the future of marine ecosystems. Understanding the importance of community participation for local biodiversity conservation and poverty alleviation, CORDIO has engaged in several projects that build the capacity of communities to co-manage their resources and increase their resilience. These projects try to ensure communities feel a sense of ownership for their resources, as well as provide them the tools and skills necessary to monitor and conserve marine ecosystems. These interventions aim to reduce current rates of biodiversity and natural habitat loss in order to sustain the ecosystem services that underpin human well-being, as well as assist communities adapt to changes associated with a transforming climate. In 2016, CORDIO worked on projects in Mozambique, Djibouti and Kenya that focused on building the capacity of communities to co-manage their resources. 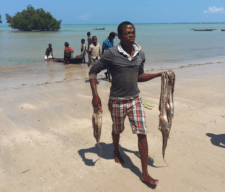 Coastal communities are increasingly adopting Locally Managed Marine Areas (LMMAs) to conserve fisheries and marine resources and as a way of securing their livelihoods. CORDIO examined the generic approaches in how LMMAs in Kenya are established, information that was useful for developing national guidelines as well as providing knowledge product for application to other locations in the western Indian Ocean region. The study was funded by UNDP-GEF Small Grants Programme and found a total of 24 LMMAs to have been established in Kenya by 2015. 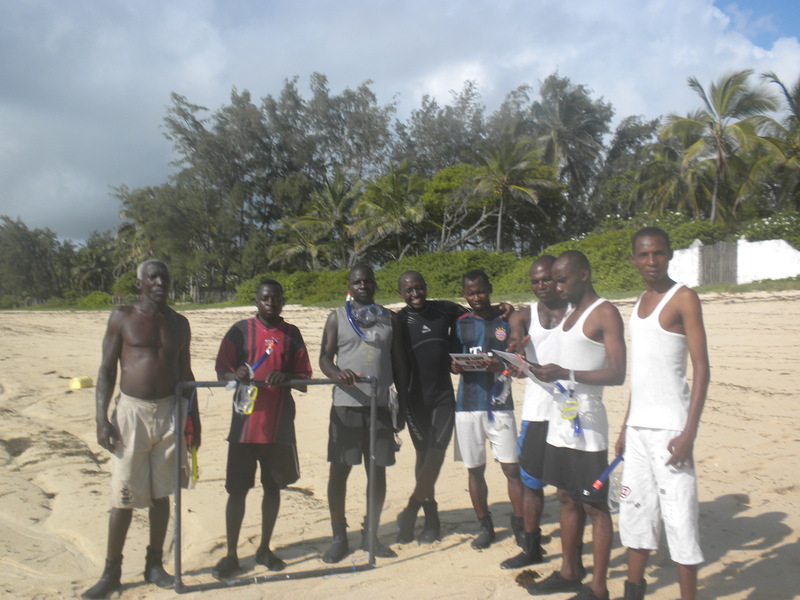 Common factors promoting succesful LMMAs were informed and committed community members, past training in community based marine resource management, a supportive legal framework, external funding and opportunities for sharing LMMA information. Exchange visits to existing LMMAs are an important trigger for a community to establish new ones. Moving forward in 2017, the five phases will be applied in Djibouti through the The Lower Awash-Lake Abbé Land and Seascape Project, to contribute to strengthening the capacity for biodiversity conservation and management of protected areas and key ecosystems. 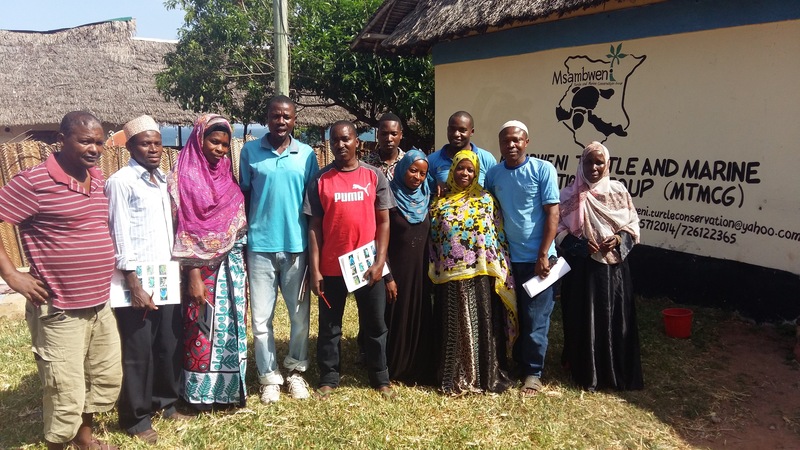 CORDIO, The Nature Conservancy (TNC), Northern Rangeland Trust and fisher communities in coastal Kenya worked together to create a user friendly manual, which provides a strong basis for adaptive and participatory management to benefit people and nature. 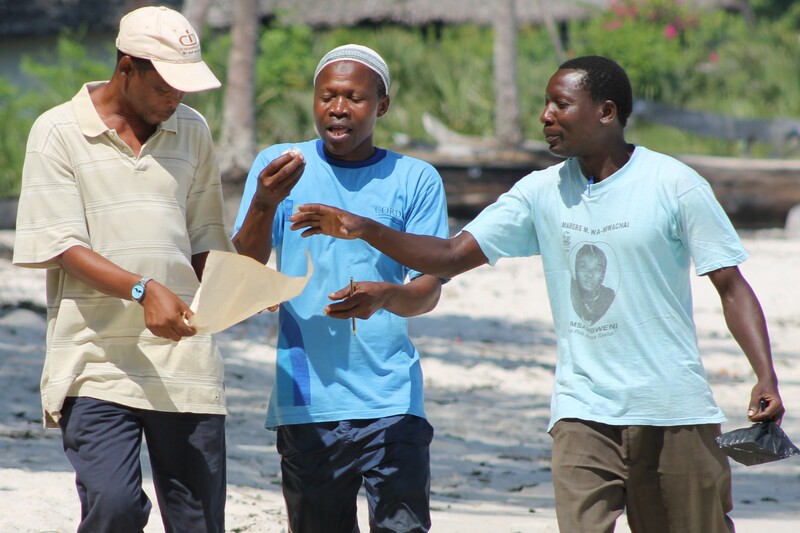 The manual was developed to support implementation of fisheries co-management and provide practical methods for coastal community members to monitor their coral reefs. The methods can be used to assess the effectiveness of Locally Managed Marine Areas (LMMAs) or other community based marine management approaches. The complements ongoing fisheries co-management initiatives in Kenya and is also applicable to other regions around the world. – the collection, storage and analysis of monitoring data. It also includes some guidance on training in the underwater methods with a simulated coral reef land-based demonstration and a fish size estimation exercise. 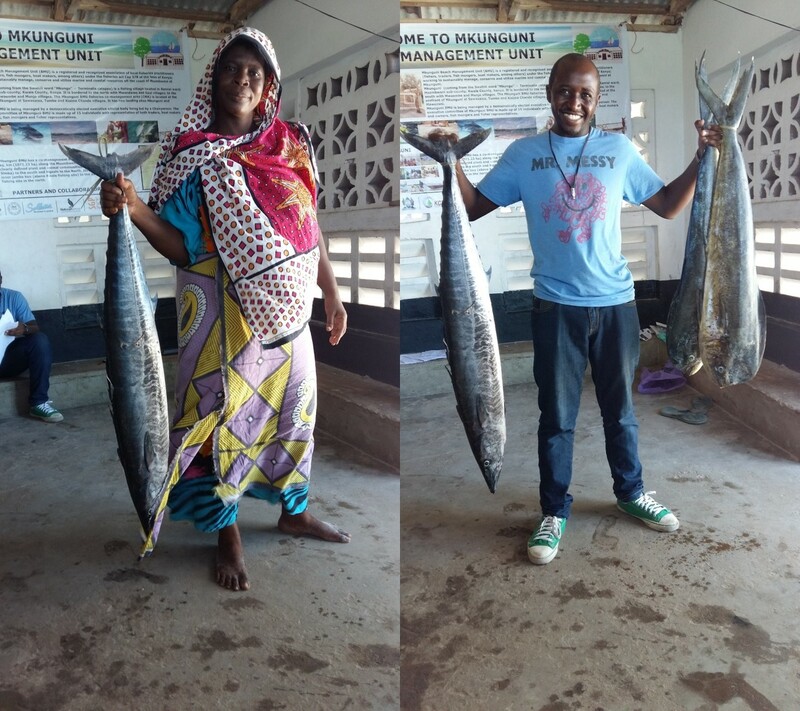 It is our hope that this toolkit will be of value to local communities and practitioners seeking to strengthen sustainable, community-led fisheries monitoring and management. We are in the process of translating the manual to French and Portuguese for wider readership and application. Fish Aggregating Devices (FADs) are free floating or anchored structures fabricated and setup to attract fish. FADs promote and encourage offshore fishing or fishing just outside the reef area particularly among local communities to capture larger and less fished pelagic species. In an effort to evaluate the importance of FADs in improving the food security and reducing pressure on fragile overfished coral reef ecosystems. CORDIO, with funding from IOC-SmartFish conducted catch monitoring of newly installed FADs to document if the FADs succeed in increasing access for fishers to offshore pelagic fish. The catch monitoring had three components which included: conducting FAD catch data training for selected BMU members, initiating FAD monitoring and data collection, and analysing FAD catch monitoring data and reporting results. 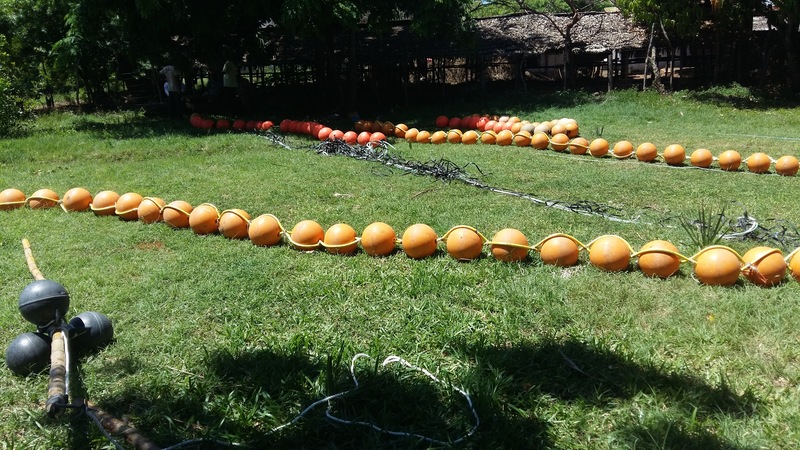 This was done at five landing sites on the south coast of Kenya: Gazi, Mkunguni, Munje, Mwaembe, and Mwandamu during three deployment phases: Pre-deployment (October – November 2015), Colonization of the FAD by fish (December 2015 – January 2016) and Post deployment (February – May 2016). Results showed that fishing duration for fishers operating hand lines decreased in all the landing sites over time during the monitoring period. Estimates on catch (Catch Per Unit Effort, CPUE) and income derived from the fishery, which the real contribution to livelihoods and income of the fishing communities, indicated an increase for hand lines. The technology has the potential of promoting offshore fishing but caution is needed to prevent fishing of over-exploited pelagic species. Collection of data from artisanal fisheries is faced with myriad challenges including the low literacy level of fishers, insufficient government resources (both human and finance), and relatively high fishing effort. 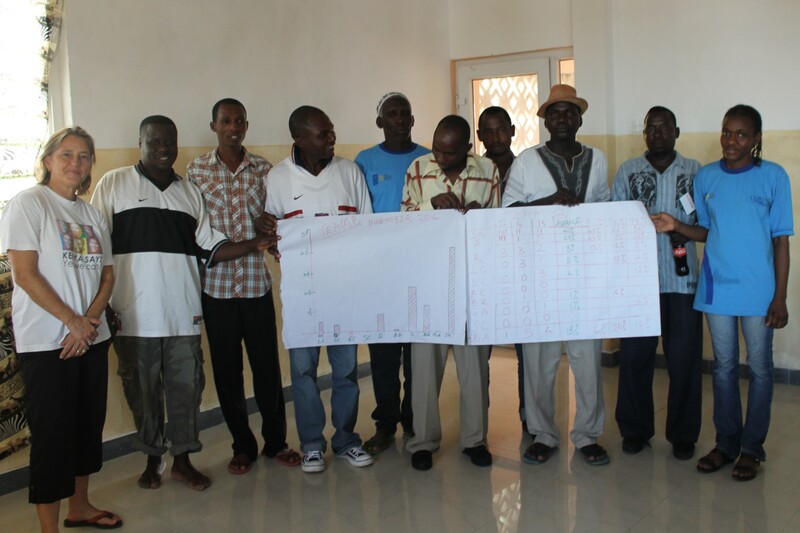 Capacity building through training of community members is essential in obtaining reliable catch and effort data that informs the status of fish stocks. 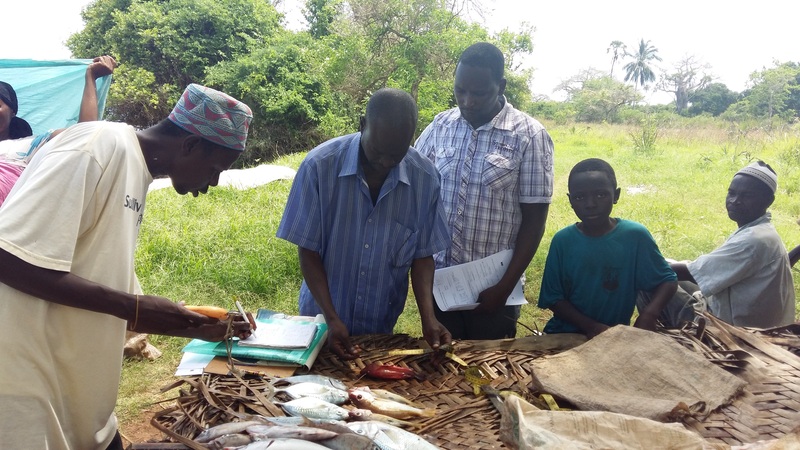 CORDIO provided technical expertise in catch monitoring and species identification training to community members in Cabo Delgado, Mozambique and Msambweni, Kenya. The trainings were geared towards developing and strengthening the capacity of local data collectors to improve monitoring of catch, effort and biological aspects of artisanal fisheries. The trainings were under the auspices of Our Sea Our Life (OSOL) project coordinated by Zoological Society of London (ZSL) and IOC-SmartFish. 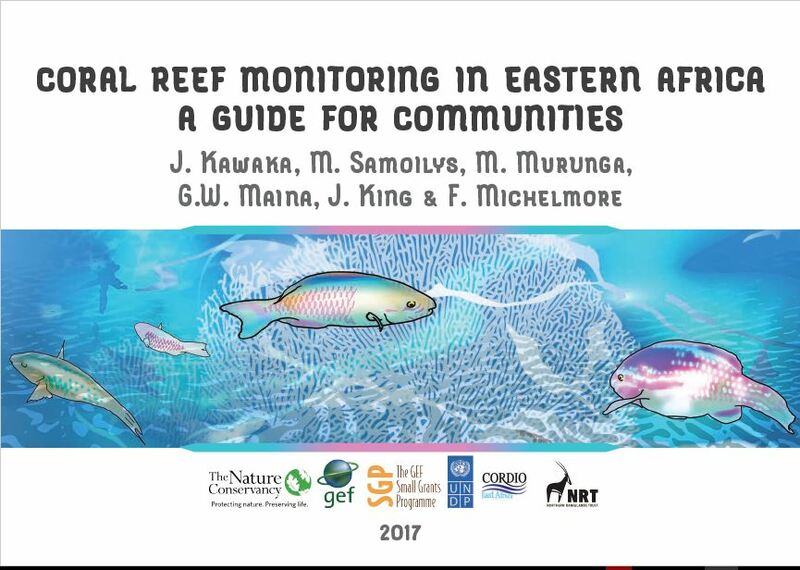 Future work in 2017 will entail training of community members on catch monitoring using the user friendly community coral reef monitoring guide.